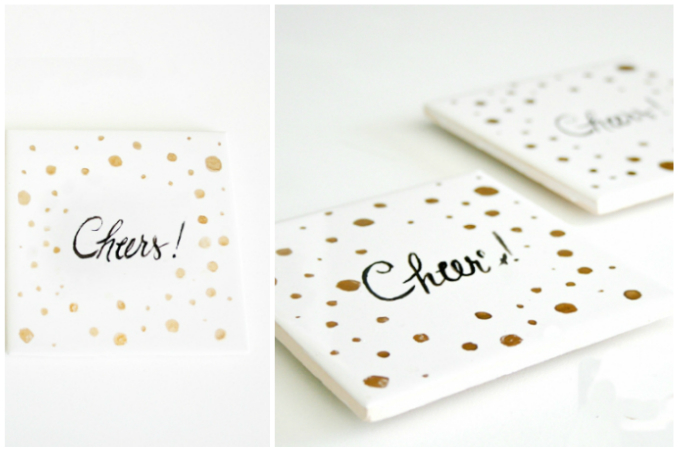 Get party-ready with this fun weekend project! Hosting a party is always a lot of fun. Cleaning up afterwards, however, is a different story—you discover carpet stains, scratches on your hardwood floors and the worst of all—water rings on expensive antiques. Whether your get-together involves your entire family or just a couple of your closest friends, you can avoid having to deal with these stubborn marks by leaving out these DIY coasters for them to set their champagne glasses on. The best part? They are so cute, they can double as party decor too!